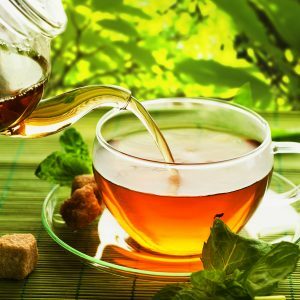 There are so many online tea stores now that it is overwhelming to figure out which stores provide the best selection, quality and prices. You may be stuck relying on pictures of the tea and the seller’s own description. Adagio sells loose teas in both loose tea form and in tea bags, along with all types of teaware. The teas are reasonably priced and they receive excellent reviews from customers. They also have retail tea stores, and consistently receive high marks on their customer service. Customers also love the ease and look of their website, which makes it quick and easy to order their teas. Another benefit is you can order samples online of all of their teas. They sell specialty and gourmet tea blends, in both loose and bagged tea, along with teaware. The bagged teas are expensive, but are considered to have some of the highest quality tea leaves. Many retailers, restaurants, and hotels sell their teas. From online reviews, many describe their teas as unusually good, but high priced. In this case, you get what you pay for. They only sell a limited number of hand-picked teas usually from small family farms, and once the tea is sold, it’s no longer available. Verdant Tea receives top reviews for the quality of their teas, and is known for its great customer service. While they are expensive, they offer deals like their 5 teas for $5 where you get five 10 mg samples of their 5 most popular teas. They even ship some teas directly from the farms to give you the freshest batch available. Teavana is probably the most well known of tea stores, which was recently bought by Starbucks in 2012. They specialize in quality loose leaf teas (no bagged teas), along with many tea accessories and products. I actually bought my Breville Tea Maker from them. While there are some complaints about their sales tactics in their physical tea stores, people still love the flavors and quality of their actual teas and blends. If you do live near a physical store, you could try some of their samples and then order online. Keep in mind, the sales people sometimes put extra tea and sugar in their batches to add flavor. The prices can be expensive, but some of their teas can be resteeped to cut down on the cost. Based out of Massachusetts, Upton Tea Imports gets great reviews from customers online. They claim to import and sell over 480 varieties of loose leaf teas from all over the world. Even cooler is the fact you can buy sample packets of all of their teas usually for $1. While I have not bought from them, I’ve read they have excellent customer service. Their website might not be the prettiest, but many of their teas certainly get top reviews. Their pricing is relatively inexpensive for online tea stores. This is an online tea company based in New Stanton, PA, which sells loose teas and tea bags. They have their own brand of tea, and also offer a number of other brands. They also sell teaware along with many types of food to go along with your tea such as cookies and British food. They offer over 100 different kinds of tea and pride themselves on their affordable prices. They are a Montreal based tea store, which offers over 150 types of loose leaf teas, with many blends, limited editions, regular teas, and infusions from around the world. They also claim to have the largest amount of organic teas and infusions in North America. They also offer many tea accessories. They have many physical locations throughout Canada and the northern parts of the U.S. They are on the slightly higher end for prices, but cheaper than Teavana from what I have read. I’ve seen many recommendations online for DavidsTea. I have found excellent reviews online for this Pennsylvania based seller. They focus on loose leaf teas and offer a number of different types of tea. While they do not have a huge selection, it appears they plan to expand their business. They also offer some Try Me packs and monthly tea clubs if you wanted to experiment with what you like. The teas are not cheap, but not outrageous and I have seen some good discounts on their Facebook page. This company prides itself on their 9 step selection process to find only the best tea available. They claim to test hundreds of samples until they find only the best teas. The tea is very expensive, but appears to be worth the price for the quality and flavor of the tea. They do offer a 100% satisfaction guarantee where you can get your money refunded if you are not happy. They also have some nice samplers to order. If you are buying tea for the first time online, you may have some elimination ahead of you. I would suggest just buying a sampler pack from any of the above tea stores and seeing what you like. Enjoy! Davids Tea: Should I order from them? Tell me more.